Our Real Estate blog offers, tips, tricks and advice covering a wide range of topics to help educate buyers and sellers. Why Shopping Around for your Mortgage Makes a Huge Difference Shopping around for a mortgage? Sometimes it can be daunting because of all the application paperwork. So, that begs the question: Who would want to go through the process multiple times? The fact is, if you don’t shop around for your mortgage you’re doing yourself a huge disservice. Here, Forbes lays out the benefits of being a discerning consumer. You’ve probably heard that interest rates are rising, but you also may have heard that rates still are at historic lows. While both of these statements are true, if it seems like the news of mortgage interest rates is constantly changing, that’s because it is. Mortgage interest rates change daily depending on the strength of the economy. In strong economies, where people are more likely to buy a home, it costs both you and the bank more to borrow money. In weaker economies, rates dive lower to provide an incentive for people to borrow. When you buy, your aim should be to borrow at the lowest possible interest rate to save money during the life of your loan. 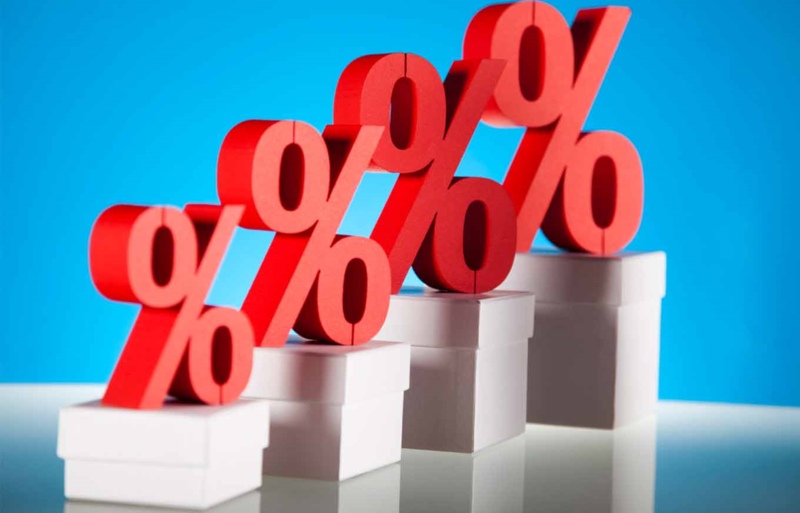 Shopping around for a mortgage will give you a chance to keep an eye out for the best rates, as they fluctuate daily. \Although mortgage interest rates have a tendency to fluctuate, they rarely go up or down by more than a fraction of a percentage point. Unfortunately, that small of a movement leads many buyers—especially first-timers—to get complacent because they’re unaware of how much of a difference just a fraction of a percentage point can make. The reality is, a difference of half a point (or even less) can add up to thousands of extra dollars spent during the term of the loan. For example, if you bought a $200,000 house and put 20 percent down on a 30-year loan, with an interest rate of 3.5 percent your monthly payment would be about $719 dollars. However, if that interest rate was to jump to 4.5 percent, your new payment would be around $810. A difference of $100 a month may not seem to make that big of an impact on your monthly budget, but those numbers add up over the long term. For a one-point difference, you’ll end up paying more than $35,000 in added interest during the course of the 30-year loan. Buyers often are hesitant to shop around for a mortgage rate because they worry it will negatively impact their credit. While this used to be true, fortunately, it no longer is the case. These days, the major credit bureaus have agreed to treat all mortgage inquiries as one, as long as all of the inquiries occur within the same period of time. The catch: an acceptable period of time varies. It lasts between 30-45 days, depending on the credit bureau. With that in mind, while you can shop around as much as you’d like during that time, it’s best to stick closer to the 30-day mark so that you know you’re covered. Most loans come with origination fees and points. Origination fees are used to cover the costs associated with closing the loan, including compensating the loan officer, while points are an additional fee that you can pay to the mortgage company in exchange for a lower interest rate. As with any other industry, each lender will have their own fee structure. Points often are optional, and in some cases, you can negotiate with the lender to have certain fees waived or discounted. Shopping around for a mortgage will allow you to find the fee structure that works best for you and your wallet. 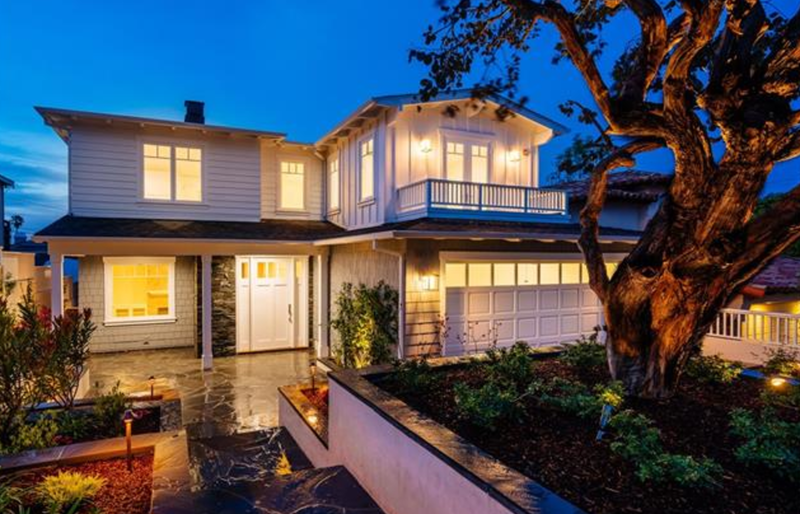 For nearly a decade Los Angeles has been a seller's market. Since the market collapse in 2007 home values have rapidly increased. The fierce competition among buyers has contributed to the rapid property value ascent. Analysts and real estate agents are already reporting a "leveling-off" trend. The number of overall sales is below the historical average and homes are spending a little bit more time on the market than what we have been accustomed to. Many people would point to the millennial buyer pool hitting its peaked, saying that the potential would be buyers have already purchased. However if you look at the average household income for 20-30 years of age you will see that they are priced out of being able to purchase a home. The speedy increase in home values has out paced wage increases in Los Angeles. This has caused housing affordability to hit a 10 year low, with the cost of a mortgage payment totaling nearly 75% of the median income in Los Angeles. Mortgage rates have been on the rise show no sign of slowing down. Currently just 17.2% of homes in the Los Angeles metro area are affordable to buyers who earn the median income. The project interest rate hike between 5-5.25% is going to further effect the already small buyer pool. Buyers with bigger budgets will see many advantages of this shifting market. This small pool of buyers will force luxury high end sellers to rethink their asking prices if the home is not in top condition. If your home is top condition, it still very much is a sellers market as these homes fetch a premium. If your home needs some work it might be worth investing in touch up or a lower asking price to drive interest to your home and increase the final sales price. In conclusion, timing the market rarely works out. A home is an investment and the future isn't certain. Drive through a neighborhood or do a quick online search and you will that some homes sell and some homes don't. From one block to the next there is a home that sold for over asking and one that has been on the market for over 100 days. All homes that get listed for sale have one thing in common, they need to create demand for the property. A Real Estate Agent's primary objective should be to create a lot of demand for the property with the goal being to sell the home and for the best terms for the seller (price, contingence dates, etc...). In order to create demand for a property the listing agent needs to have a custom tailored plan to market that property. A "one size fits all" approach is ineffective, it relies on luck to generate an offer. With the different classes of property, different conditions, and various locations cause certain buyers to be "real buyers" and others to be window shoppers looking at homes that they are not really interested in. Simply putting your home on the MLS and syndicating out to the major real estate listing websites is not enough. If there is not a clear and well thought out marketing plan in place then you will not be in front of the buyers that are interested in your home. This in turn will cause the listing agent to ask for a price reduction because he was not able to get in front of your home's target demographic. Lowering the price does generate more interest, usually by increasing the pool of potential buyers, but its at the cost of the seller's bottom line. A marketing plan solely based on factors such as price, syndicating to Zillow, and a few open houses is not a complete marketing plan. Selling a home for the highest possible price requires an agent with a proven track history and a well thought out marketing plan. If you are interviewing agents or considering selling here are 3 points to consider. Overpricing a home is the most common mistake. By over pricing your home you often putting it against homes that offer more for the same price, making the other home a better value. Your goal is to compete with similar homes in your market. The condition of your home drives the marketing efforts. If your home needs a little TLC the buyer will leverage that in negotiations. Putting a little time and effort to give your home a cosmetic facelift will go a long way (even in the photos which is what the buyer first sees). Good marketing drives demand and more demand means higher prices (as well as not sitting on the market). Think of your home as a product, do your best to make it the most desirable home in the neighborhood (by condition, price, and hiring the right realtor). The United States stock market has showed some volatility in 2018 causing mortgage rates to slow. Freddie Mac just revealed that mortgage rates actually drop to 4.75%. So how does this affect the real estate market? Every indication is that mortgage rate increases are going to slow through 2019. Making the present the best time to buy a house. Both pending and home sales closed has slightly dropped in the past few months. The primary reason from polled buyer is that the increasing interest rates that were nearing 5% wasn't attractive to a home buyer. 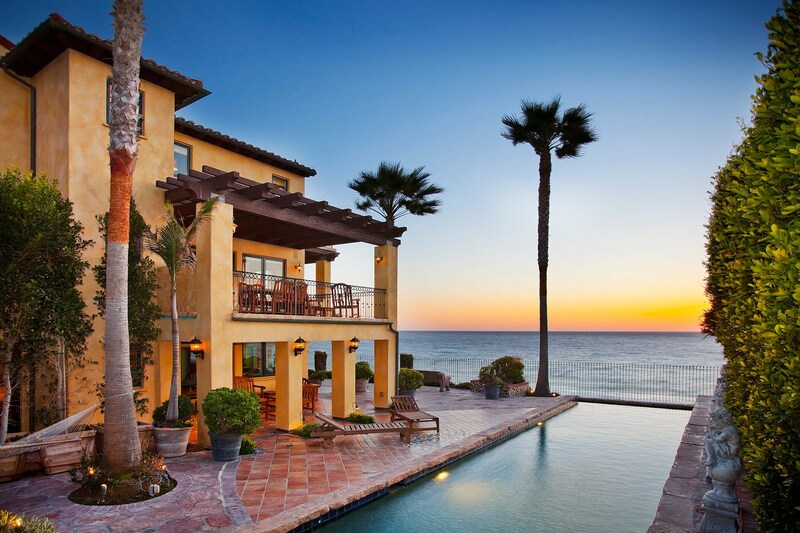 The regression to 4.75% should bring out a larger buyer pool to stimulate sales in the South Bay housing market. Industry experts project that these lower and slowed rate hikes will create an attractive landscape for buyers. Especially at the start of the year in Q1, as a rate hike could be coming in Q2. 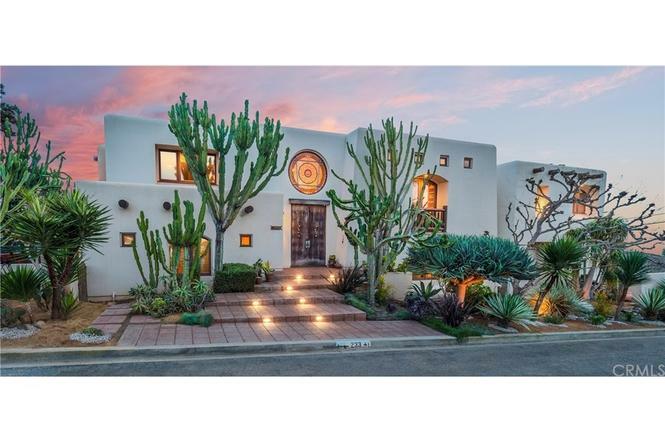 If you are a home buyer you will want to purchase in the first 90 days. Home sellers will want to price their homes properly as buyers have been moving inland from the coast because of their high asking prices. A well priced home will draw a lot of attention from buyers, multiple offers will start to drive the price back upwards on competitively priced homes. We are expecting a huge buyer pool to start the year. They will be bound by the constraints of their loans in luxury markets potentially causing them to overlook overpriced homes. Sellers should price aggressively to drive the sales price upwards while negotiating, listing high and staying at a high listing price has caused several homes to sit on the market in 2018. We expect home values to steadily rise through out the course of the year. As soon as October draws to a close, many sellers will take their houses off the market for the holidays. Buyers also tend to take a seasonal pause. Historically, the slowest stretch for home sales is November through February before sales pick up again in March. But, if you need to sell your home right away—for a job relocation, for example—there are some encouraging factors. Buyers who stick around during the winter tend to be very serious and ready to commit. There also are not as many homes on the market to compete against. Here, USA Today offers tips for making a warm impression during these colder months. Although it’s winter, you don’t want the outside pictures of your home to look barren because buyers won’t see a well-landscaped lawn. Plan ahead and take exterior pictures before the leaves fall, even if it’s a month or two before you actually list the house. If you have a swimming pool or hot tub, find an old picture that shows the feature during the summertime. Keep up with lawn maintenance, even if it’s not growing season. Rake dead leaves, and edge and weed if necessary. Trim hardy evergreens if they get too unwieldy. Add new mulch to any landscaped beds. Make sure driveways and walkways are well-lit because there is less daylight during the winter. Buyers will spend more time on the inside when it’s cold outside, so make sure they’re comfortable. Set the temperature between 68 and 70 degrees. Address any drafts from windows or doors before having an open house. Good lighting also is key at this time of year when it gets dark earlier, so don’t skimp on lighting. 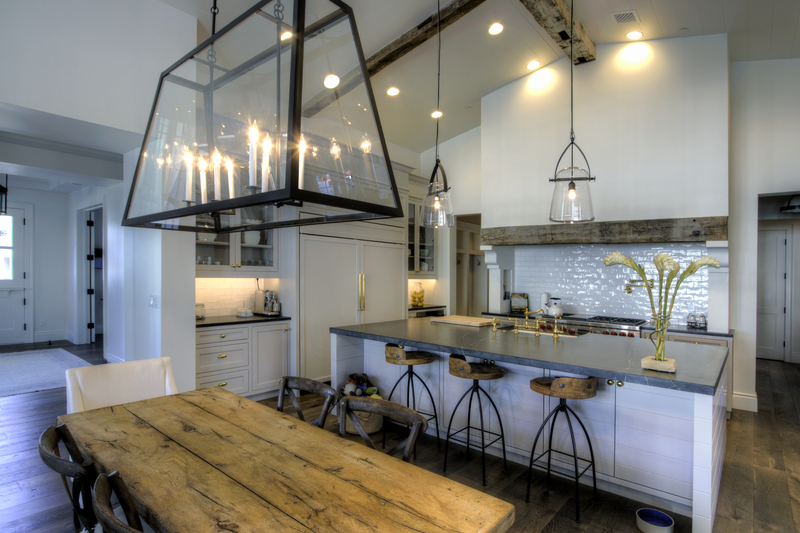 Replace tired table lamps and chandeliers with updated models. Use higher wattage bulbs to bathe the house in light. Make sure windows are cleaned to maximize sunlight. Enhance the coziness of your house with the smell of freshly baked cookies, serve hot apple cider or hot chocolate for guests, and turn on any gas fireplaces for added ambience. You can still decorate for the holidays, but keep it muted. Use reds, winter white, silver and clear blue decorations along with natural elements such as pine cones and evergreen branches to celebrate the season without going over the top with kitschy themes. Add a splash of color on the outside with an elegant wreath, which will keep your home from looking drab in these gray months. Think seasonal; you don’t want your listing pictures to have out-of-season décor in January, signaling that your house has been on the market for a while. 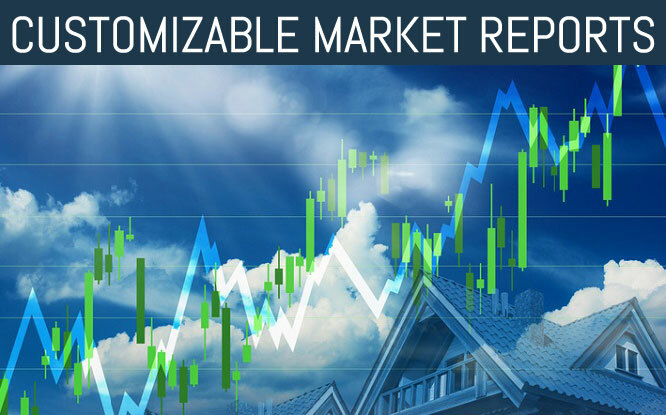 Be realistic about the market conditions in your area, especially if buying activity cooled off even before the weather did. Price competitively and be open to buyer incentives, such as funding a home repair or offering money toward closing costs to make a deal. If you have already moved to another location, make sure to winterize your home before showing it. That means hiring a plumber to blow out pipes and put antifreeze in them. If the furnace goes out and the water pipes freeze, then you’ll have a big problem. The market for condos, townhomes and smaller, entry-level homes doesn’t wane nearly as much in the winter than for larger homes. People often get engaged during the holidays, so these couples often start looking for a home in the winter. For larger homes with four-bedrooms, you might want to wait until after Feb. 1 to put your home on the market. No matter when you sell your home, make it look its best. Have your home professionally cleaned and repainted with current colors. Declutter throughout, and organize closets and pantries to highlight ample storage. Limit the amount of furniture to improve walkability and showcase space. Its easier for a buyer to visualize how they would use the space when it’s a some what blank canvas. Having ample storage space is a top request, but it is hard to visualize where a buyer will put all their knick-knacks if they cant see past your personal possessions. Bonus Tip: Show the closest space buy keeping them tidy and half full. Do what you have to do to make your house bright and cheery, it will makes it more sellable. Every buyer wants there how to be well lite. To get more natural light take down the drapes, clean the windows and trim the hedges around your windows to get the most light possible! Bonus Tip: Use higher wattage light bulb and different lampshades to get better artificial light. Not all agents, brokers, and sales teams are created equal. Ask them questions about their past sales, the home down the street and where the best place to get a bite to eat locally is. These questions will help you find out who the local expert is. You want them to be able to tell you what your neighbors house sold for and to sell the area as much as the home. Bonus Tip: Find a broker who embraces technology – a tech-savvy one has many tools to get your house sold and 83% of buyers first see the home on the internet. While your pet might be a heart stealer not everybody is a dog- or cat-lover. The bowl of dog food, the smell of a litter box, pet hair in the carpet, etc... Could give buyers the impression that your house is not clean. If you’re planning an open house, send the critters to a pet hotel for the day. If its a small quick fix then go ahead and complete it, patching up nail holes, new switch faceplates and other small tasks will show pride of ownership and that your property has been well maintained. Restructuring the floor plan? You might want to reconsider, these types of renovations could pay off if done right but not every house will get value from these colossal projects. Instead, keep it simple. Some of these smaller tasks can generate higher offers as well as more offers: clean the grout, freshen the paint, new cabinet hardware, fixing that leaky faucet. The home will soon no longer be yours so start to depersonalize it ASAP. The more personal stuff in your house, the less potential buyers can imagine themselves living there. Give them a little guidance on how you used the room (or the way you always wished you had) with your large furniture (the things that are hardest to move). Things such as keepsakes, family photos and collectibles should be tidily packed and put in storage (you will be moving soon and glad that you got a head start anyway). Bonus Tip: Call a Home Stager. Many times they will be glad to give you a consultation on how to use your existing furniture to create the best first impression. What is the most important room in your home? 99 times out of 100 its going to be the kitchen. Trust us it really is that important! Remodeling a kitchen offers huge upside. New counter tops will cost a couple thousand dollars but a buyer could knock ten thousand dollars off of your asking price because the current ones are dated. Some off the simpler tasks such as paint and new cabinet hardware should always been done - try to stay neutral and not too stylized as you want to appeal to the masses. Selling Secret #2: Its Showtime! You should try to be show ready at anytime. The best real estate agents have a good memory and probably saw your home a broker's open house and meet a ton of people. You never know when your agent is going to have a hot and ready buyer that needs to see the home immediately. So, always try to keep the dishes washed, the bathrooms clean and the floors swept. Its a little bit of an inconvenience but it helps get your house sold! Selling Secret #1: You Only Get One Chance At A First Impression. You never have a second chance to make a first impression. Curb appeal is huge factor for every buyer and the first thing they see about your home. So, it’s important to make people feel warm, welcome and safe as they approach the house. Spruce up your home’s exterior with inexpensive shrubs and brightly colored flowers. 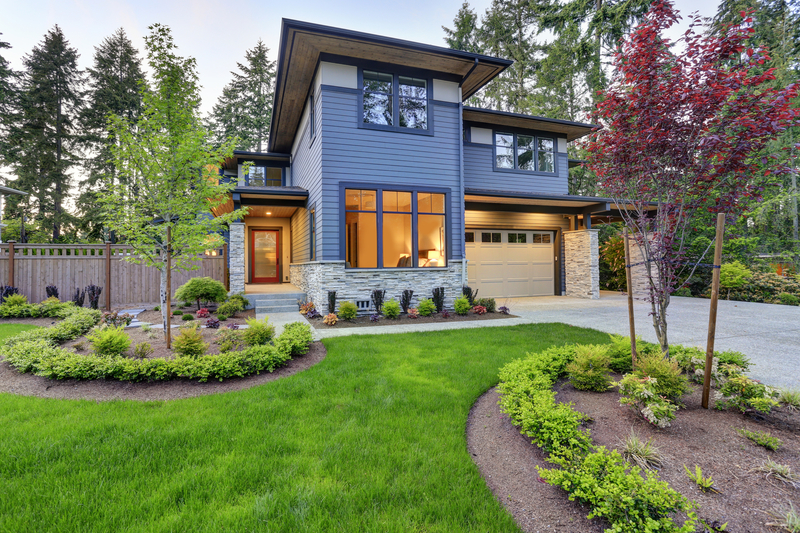 You can typically get a 100-percent return on the money you put into your home’s curb appeal. Entryways are also important. You use it as a utility space for your coat and keys. But, when you’re selling, make it welcoming by putting in a small bench, a vase of fresh-cut flowers or even some cookies. Buying a home is one of the biggest financial decisions anyone can make. And if a home buyer isn't paying cash, then they will usually obtain a mortgage to pay for the home. One popular mortgage for those who can obtain it is the VA loan. The VA loan is one of the benefits provided for veterans and active duty military personnel. This type of loan makes home buying easier for many service men and women who would like to see their dream of owning a home realized. Understanding the VA loan, the way it works and how it compares to other loans can help home buyers decide if the VA loan is the right loan for them. The VA loan is a loan that has been backed by the U.S. Department of Veterans Affairs. The VA does not issue the loans directly, but provides a guarantee to approved mortgage lenders. Service people who want to get a VA loan can do so by contacting a qualified lender, and not by contacting the VA itself. There are many benefits of VA loans. 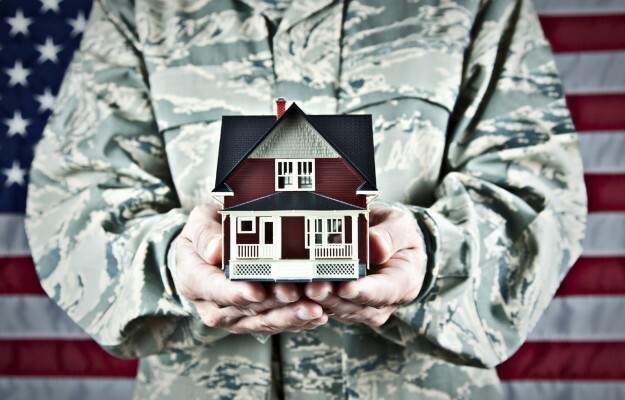 These benefits make home buying easier for service men and women. One of the most attractive benefits of VA loans is that they require no money down to buy a home. In addition, VA loans have no mortgage insurance requirements. This can save qualifying active military and veterans a lot of money when the time comes to buy a home. How Does the VA Loan Work? To qualify for a VA loan, the home buyer begins by getting pre-qualified. This is a quick process that involves answering just a few questions about credit history, salary, assets and other financial information. At the end of the pre-qualification process, the potential home buyer is told how much money they are approved to borrow. Once the home buyer is pre-qualified, he or she must get pre-approved. Pre-approval is a much more involved process than pre-qualification. To be pre-approved, the home buyer must turn in financial documents that support the information provided when the buyer got pre-qualified. 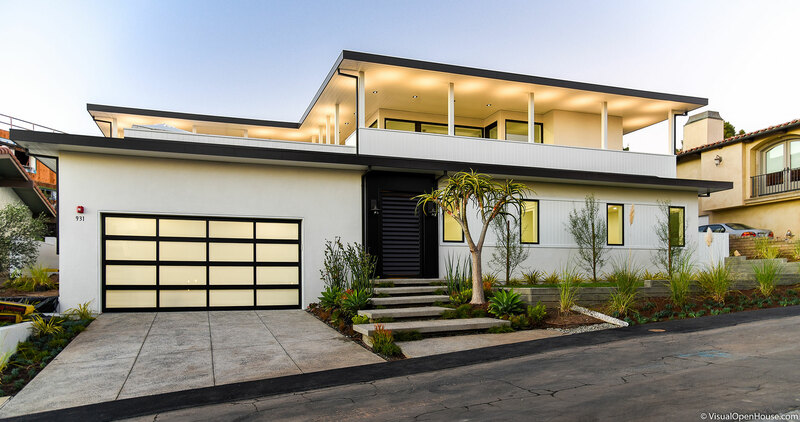 Pre-approval is a long and involved process, but when the pre-approval is finished, the buyer can make competitive offers on homes with confidence that their loan will be approved at the close of escrow. Once the loan funds, the home buyer must pay a fee to the VA to fund the program and keep the loans going. This fee can be rolled up into the loan, to lessen the burden on the home buyer. How Do VA Loans Compare to Other Loans? Nearly all other types of loans require the home buyer to make a down payment. Some loans (like FHA loans) require low down payments around 3.5 percent. Conventional loans may require the home buyer to make a down payment of 20 percent or more. 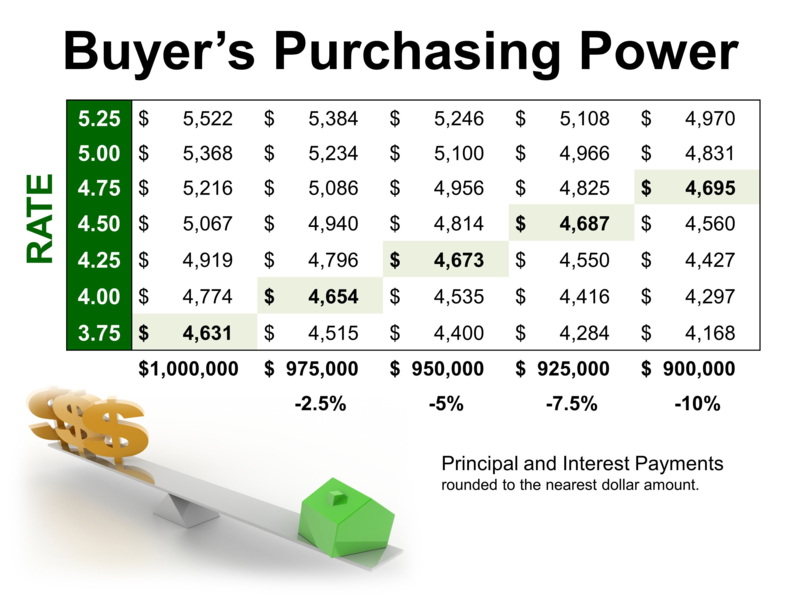 For home buyers on a budget, the down payment is a major hurdle that can prevent some people from buying a home. Therefore, the VA loan's requirement of no down payment is an very appreciated bonus. Many loans that require a low down payment (like the FHA loan) also require the home buyer to pay for mortgage insurance. The VA loan is different because it does not have this requirement. This can save home buyers thousands of dollars over the life of the loan. A VA loan does not impose a maximum amount that an eligible veteran may borrow to buy a home using a VA loan. However, the VA loan program does limit the VA's liability by capping the guaranty amount to $453,100 in 2018 for most loans. This maximum limit effectively limits what most banks or lenders are willing to lend to lend without requiring a down payment. 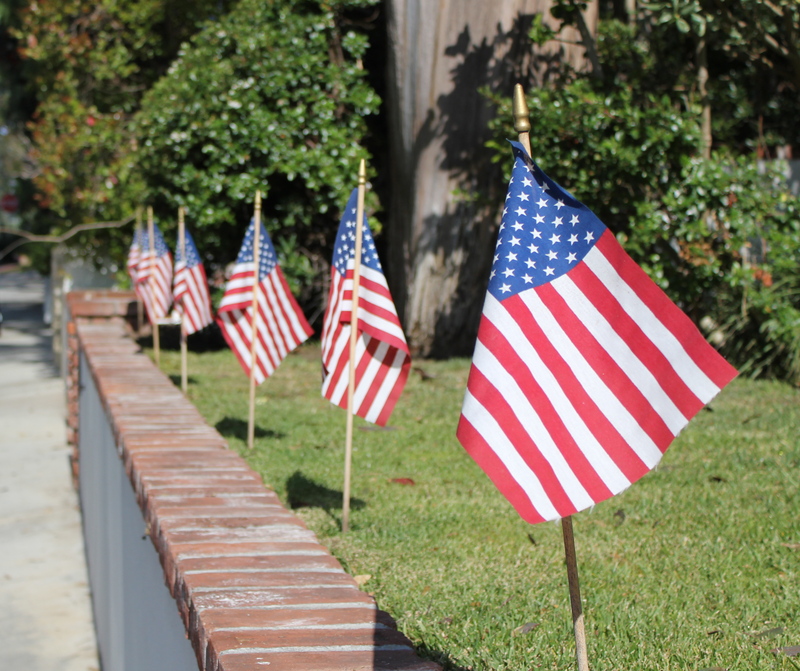 The VA home loan is for active military, surviving military spouses and veterans. In most cases, to be eligible, the home buyer must serve 181 days on active duty during a time of peace, or must serve 90 days active duty during a time of war. Home buyers who have served six years in the National Guard or Reserves are also eligible. Veterans, active military and surviving military spouses who want to know whether or not they are eligible for a VA loan can find out by contacting their VA office. Even borrowers who have a history of foreclosure or bankruptcy are still eligible for a VA loan. However, the VA loan is not provided to buyers who are trying to purchase a second property. The VA loan is only given to people who want to purchase a primary residence. Home buyers who would like to get started with a VA loan should first contact a qualified lender to find out what kind of paperwork they'll need to provide in order to be pre-approved. It also helps to look at homes in the area where the home will be purchased. 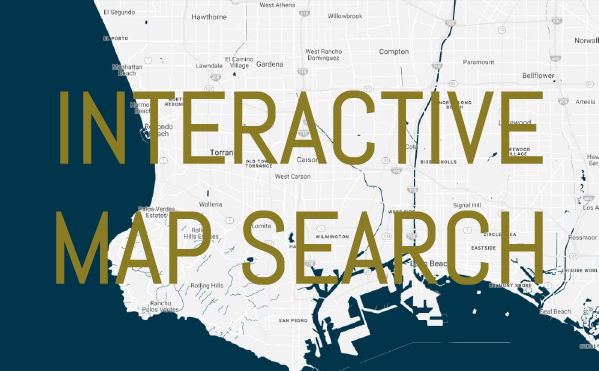 This can help home buyers find out where they want to buy and what their budget will be. Finally, home buyers who would like to get started with a VA loan can work with a qualified real estate professional. Working with a good real estate professional can help you get the home you want at a price you can afford. Thinking about selling your home? Whether relocating, cashing out on your investment, or needing to up/down size it is important to find a the Realtor to list your home for sale. Your home is a big investment and proper representation can help you make tens of thousands of dollars more than simply assuming all realtors put homes on Zillow. A well experienced pro will also make the process simple and quick while protecting your best interests. Here are our tips on how to find the right real estate professional to sell your home. When selecting an agent its best to start by asking friends, family, and neighbors. But approach the question logically. Asking "do you know a realtor" is a great way to get a list of friends of friends. Instead ask your question like this " Do you know someone who has sold a home in the area recently?" This narrows the referral field substainially as it eliminates the newly licensed from potential suggestions. There are so many stages to a real estate sale that having a seasoned pro is in your best interest. An experienced local pro will know how to market your home, they probably even have a couple of potential buyers ready from the home they just sold down the street. Once you have your list of agents ready its time to start narrowing the field. The first measure should be response time. Send your potential agents an email or text message (call their office as well). Now sit back and wait. This is to measure the agents response time. Ideally your agent is immediately responsive or has a team that handles these matters swiftly. This test is to gauge the level of service to expect. Imagine if you had an issue come up with an appraisal or home inspection? As a seller you would want immediate attention to any and all issues that would come up, so chart your prospects response time. A) How long have you been in business? Aim for agents with a couple years experience and who sell homes full time. Being in business a couple years means they have formulated a marketing plan, while being a full time agent means that this is their livelihood and your satisfaction is a priority. B) How many houses did you sell last year? General rule of thumb is to look for agents who sell more than 30+ homes per year. This shows that they offer outstanding service that leads to referrals and have a sense of marketing to find potential buyers. 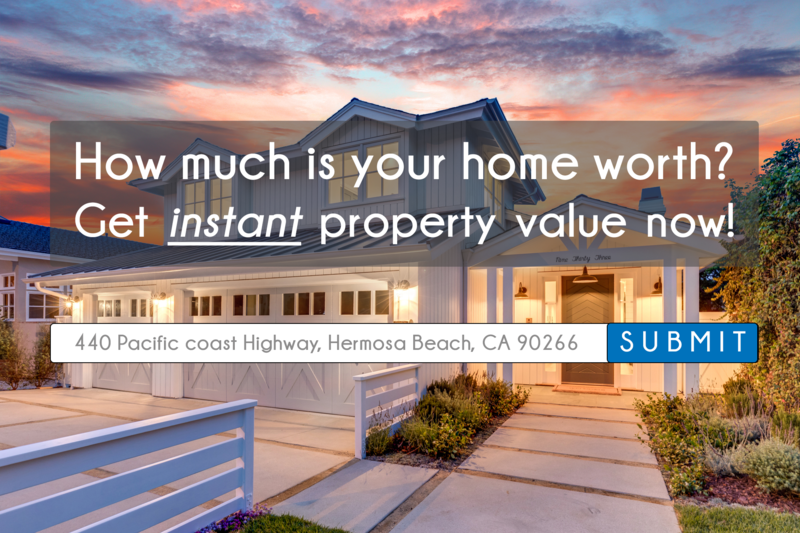 C) What percentage of your listings do you sell? Just like grade school percentages are important. The higher the better. Do not consider an agent who sells less than 70% of their listings. D) What is the average list price to actual sell price ration for your listings? This can fluctuate depending on the state of the market. Nonetheless you should set expectations for a high percentage. Look for a ratio above 93%. Accurate pricing is one of the most important factors in selling a home. Being off on price causes you to sit on the market. Time on market leads to price reductions and price reductions lead to lower sales figures. A) How will you market my home? Its 2018, every agent and brokerage has a website, listings syndicate to Zillow, and the local newspaper is saturated with for sale homes. Buyers are no longer local and you want your home to stand out. Look for a realtor who is regularly featured in local magazines, has a social media marketing campaign, and an online marketing department (most buyers first see the home online). Give bonus points to realtors with large databases, an investor could be interested in purchasing your home and putting it back on the market as a rental. B) What offline materials do you use? While digital marketing is a growing industry you still want to have a print presence. Fliers, yard signs, brochures, etc. The "take home materials" are important, you want your flier to be the one that stands out in the collection from a weekend spent viewing open houses. The least expensive agent is seldom the right choice. An agent who is confident in their abilities and has track record of success will stand by their pricing. Think about it this way, if your agent can not protect and negotiate their own cost, do you really want them trying to get top dollar for your home? Selling your home is an emotional event. You have probably spent years living in it, not to mention all the fond memories in it. It is also one of your biggest assets, so you will probably want to get an expert listing agent who can get you the most money for the sale, while offering unrivaled service. When trying to achieve these goals people often make costly mistakes. Do not let that happen to you! 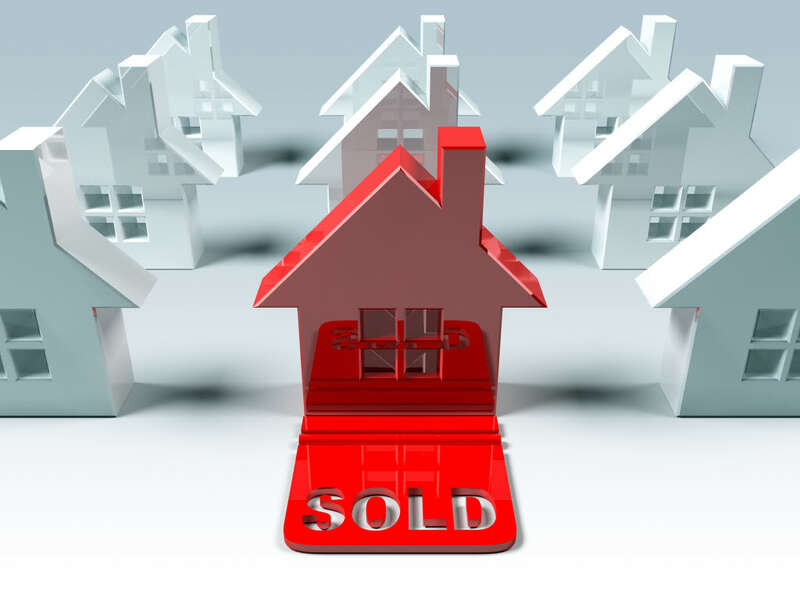 4 Tips For Selling Your Home! The first rule in real estate is: "location, location, location." 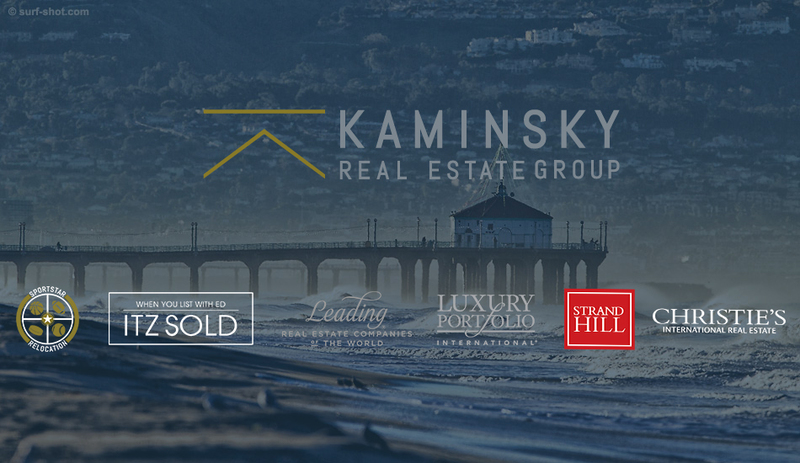 Manhattan Beach homes are red hot, so are Hermosa Beach homes and Redondo Beach Homes. The second rule is pricing. It is no secret that when selling your home, correct pricing is everything. 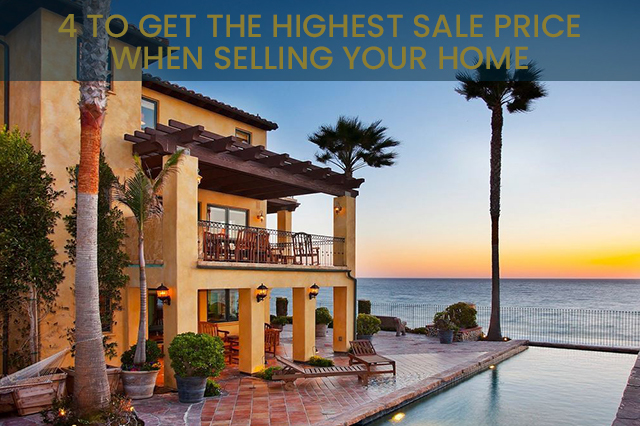 Price your home too high and it sits on the market, often going through a price reduction and generating weak offers. By pricing too high you are competing against properties that have more to offer and you will not draw the same interest as if you were correctly priced. Correct and competitive price in relation to what is available on the market is the key. To price your home correctly ask for comparables (click to get an instant home valuation). These "comps" are how industry professions price your home to generate interest. They will adjust the price based on comparison to what is available on the market. Do not assume that potential buyers can look past your personal belongings to visualize how they would utilize the home. This isn't always the case, people are very visual. Like it or not sometimes they get thrown off by aesthetics. This is why staging is important when selling your home. 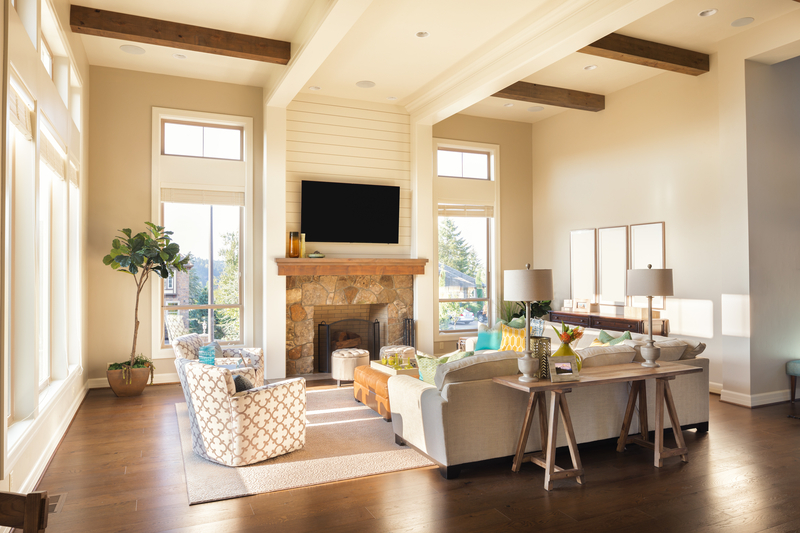 You want to minimize distractions and allow the agent to show your home in the best light possible. Style and taste is subjective so go for a neutral décor for mass appeal. Also, keep your home clean and orderly. Clean homes show better, you would be amazed how much a quick dusting and a pressure wash help. If you are highly opposed to this, ask for virtual staging, we have successful utilized this strategy to "stage" or even some cases remodel our listings. More people will view your home on the internet than in person. Having stellar, stand-out photos is key. Real Estate professionals often send your property as a link to clients to view the home on the web. They then direct them to the open house of call for a showing. There is also the global reach of the internet and powerhouses like Zillow, Trulia, etc... have global reach. 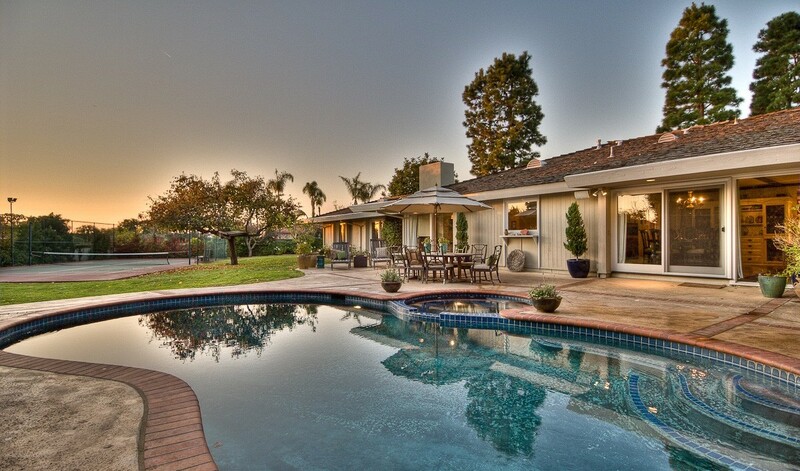 If your listing agent did not obtain well lit photos, ask for a reshoot. Proper real estate photos will give potential buyers a sense of the layout and "flow" of your home. So you tips 1-3 covered and have offers in hand. Now its time to remember that selling your home is a more of a business decision than an emotional one. Far too often sellers will lose the best offer because they talked themselves out of a good decision. Always be aware of your bottom line when considering offers. To find this out calculate how much you owe on the home you are selling and how much you will need for the purchase of your next home. Use this number to compare all the offers, any offer close to or above this figure is worth negotiating.